Since it's Good Friday, I thought it would be appropriate to present a rendering based on a painting by the surrealist master, Salvador Dalí. I've had the pleasure of seeing an exhibit with many of Dalí's work & he is definitely one of my favorite artists. 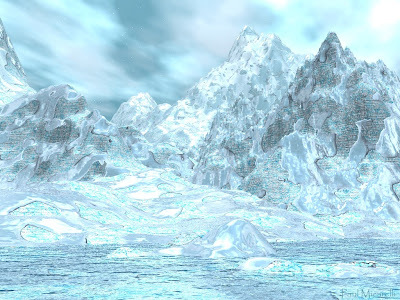 Several years ago, I made the scene in the 3D Vue software & gave a print of it to my sister for a Christmas gift. 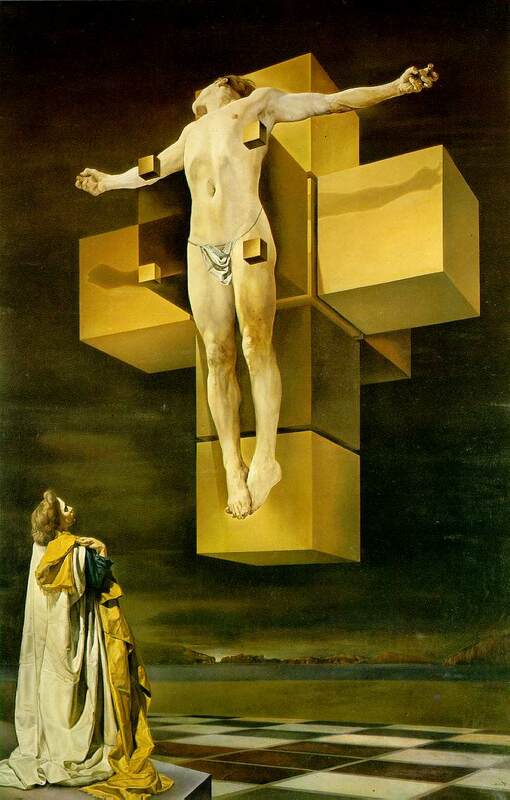 Although the subject of the painting is obviously a stylized portrayal of the Crucifixion, there are also elements of Dali's sense of "Nuclear Mysticism". 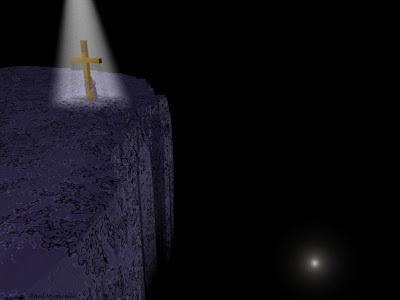 The Cross itself is a 3-D representation of the theoretical 4-Dimensional object, known as a Hypercube, or Tesseract. The arrangement of 8 cubes forming The Cross in Dali's painting is an unfolded Hypercube- similar to how an unfolded cube becomes 6 flat squares (which were previously the cube's faces). 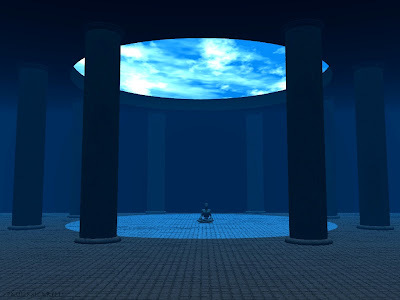 By integrating the concept of hypercube geometry into the composition, Dali is equating the eventual Ascension with the idea of transcending this 3D reality, into the "higher" dimensions that are theorized to exist. • The 0-dimensional point is a shadow of a line. • The 1-dimensional line is a shadow of a square. • The 2-dimensional square is a shadow of a cube. 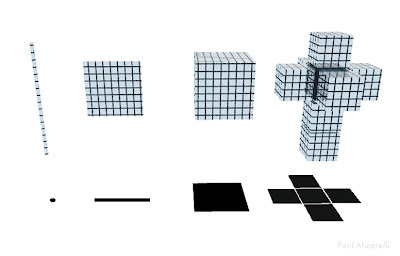 • The 3-dimensional sides of a cube are the shadow of an (unfolded) hypercube. 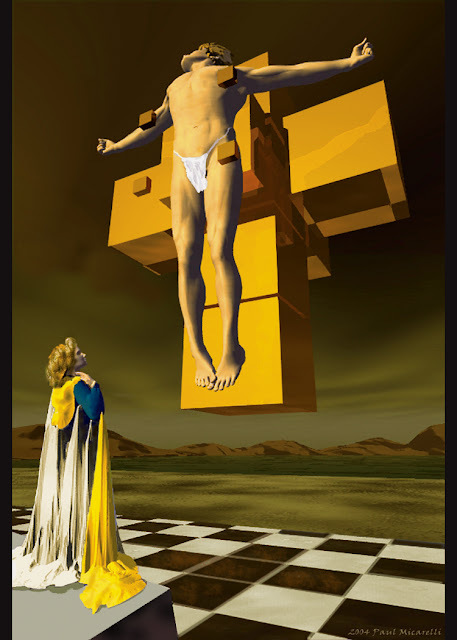 Onto the dark squares beneath the Christ figure, Dali has projected the cross shadow (which is 2 dimensions 'lower' than the 4D Hypercube). 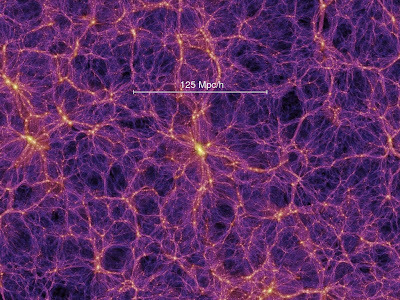 This detail further emphasizes the theme of expanding into extra-dimensional space. This painting is brilliant & seeing it in person inspired me to make this 3D homage. It's been sitting on my computer, so I decided to finally share & comment on it. When I was a kid, I used to read Cracked magazine all the time. It was a parody magazine, like MAD, but even less mainstream, & crazy in its own special way. It definitely helped me to achieve my extremely refined sense of humor. 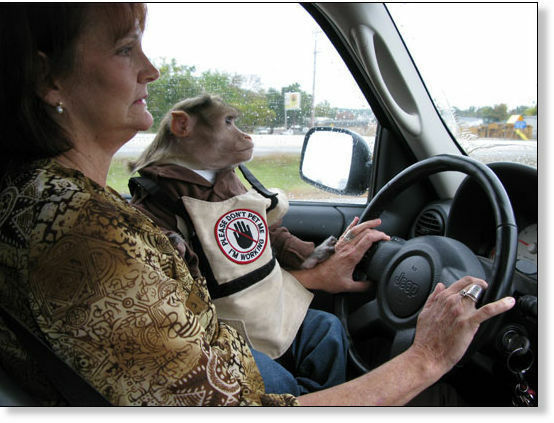 "Please Don't Pet Me, I'm Working"
If you need a monkey to help you drive, you are simply a ridiculous human being. 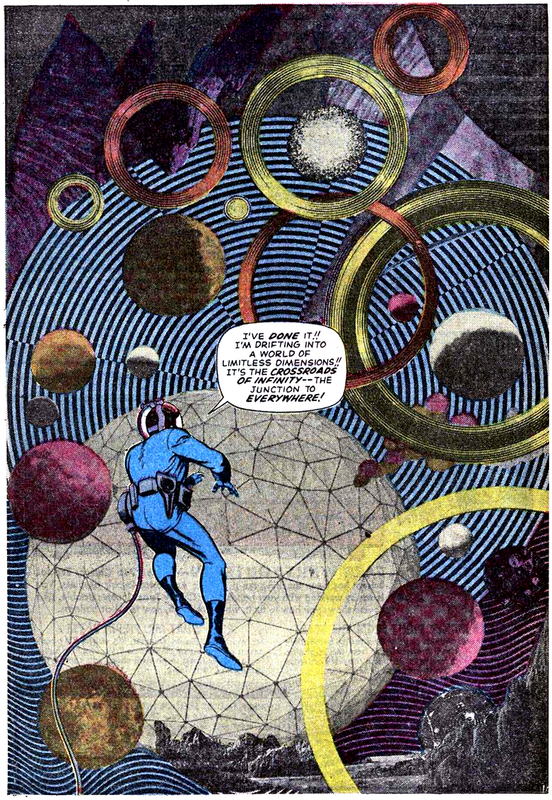 This awesomely psychedelic comic book panel is from Fantastic Four #51 (1966), by legendary artist Jack Kirby. I'm drifting into a world of limitless dimensions!! Using experimental collage techniques, Kirby was trying to visually convey the inconceivable experience of multi-dimensional awareness. I was never really a fan of the FF comics as a kid, but it was where Jack Kirby introduced my favorite character, the Silver Surfer. 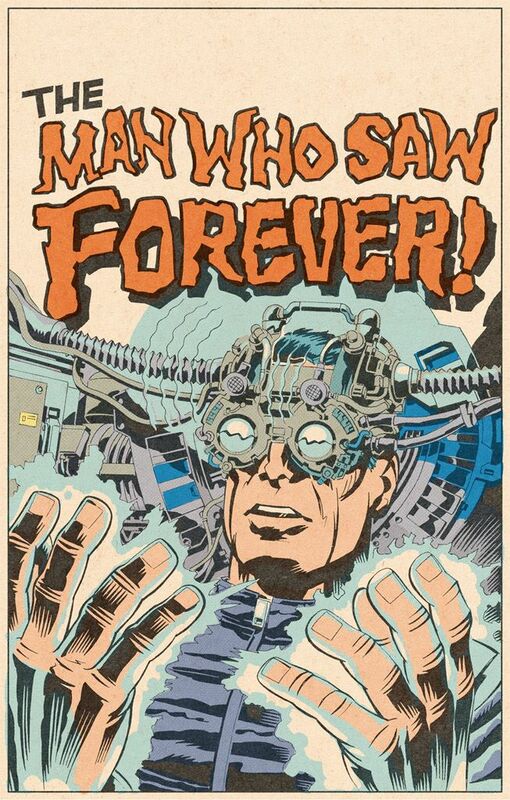 For some very interesting articles about Jack Kirby's work & special brand of pop-culture mysticism, check out the links on The Secret Sun blog. 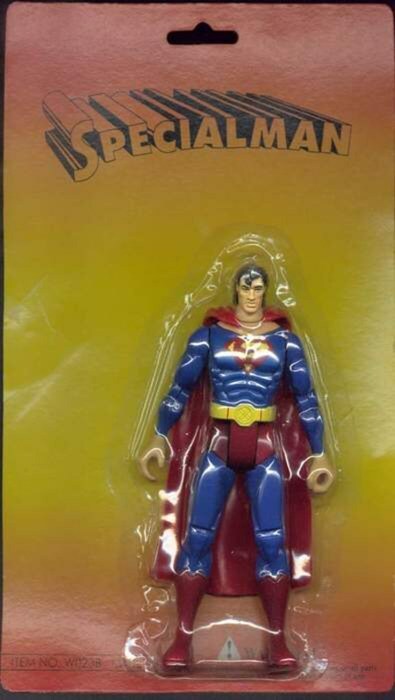 As a graphic designer, I strive to keep packaging simple & eye-catching. it's very much about oil, and we can't really deny that." 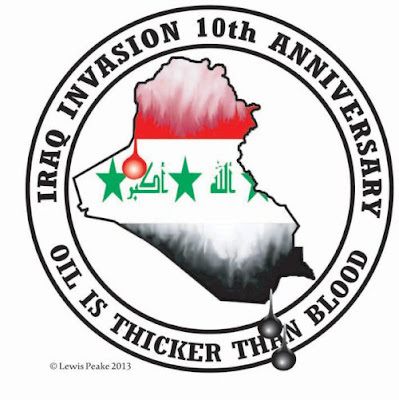 It's was 10 years ago when the last President, George W. Bush, and his neocon cabal launched the invasion of Iraq. I remember the insanity of those years all too well, & this blog was a regular outlet for my disgust over the disastrous policies of that administration. There have already been countless volumes written about the Iraq invasion & occupation. As people in the future look back & research it, there will continue to be endless analysis of the conflict. However, I want to assert the fact that I personally thought the war was immoral from the start. To be crystal clear, I have nothing against the military or soldiers. Several good friends of mine have served. 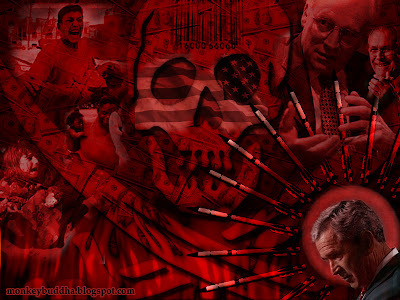 The problem was simply an Executive Branch that was run by sociopaths, who were being advised by suit-&-tie warmongers- like Paul Wolfowitz, Richard Perle, & Doug Feith. Far from being a minority opinion, there were hundreds of thousands (if not millions) of conscientious people around the world actively protesting & marching in opposition of War. In the 'bizarro world' we were living in at the time, speaking out about the wars or The President in any way was seen as unpatriotic. Conservatives who now feel free to disparage the current President should remember that their motto during Bush's term was: "America, Love It Or Leave It!" Unfortunately, the forces of Death & War prevailed over the voices of Reason. To keep the people in line, a climate of perpetual fear was fostered by the Bush Administration (& the HUGE 'security' bureaucracy they spawned) while fighting the conveniently abstract, never-ending "War on Terror". We've wasted absurd amounts of money, resources, & human life on 2 wars that may not even produce lasting progress for those countries. • Mostly, it was a combination of desire for money and power- the nexus of all conflicts. 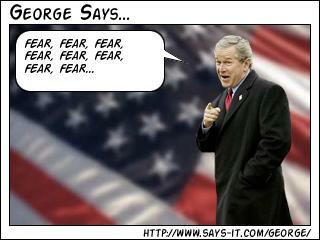 As time went on, it became clear that Dubya & Co. had no idea what they were doing. Even people who had foolishly believed we were there fighting for some noble purpose began to wake up. The conflict went on for so long that the average person can barely comprehend the damage that was done. Luckily, there's plenty of documentation to preserve the horrors for later generations. Hopefully they can learn something from the tragedy to help prevent similar abuses of power. 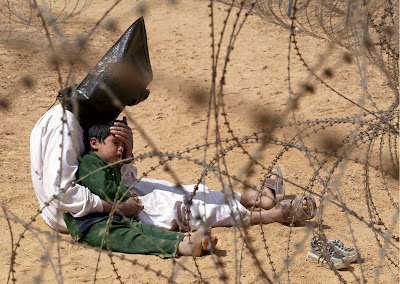 Although I've seen many grotesque war images of destruction & corpses, the picture below really illustrates the worst aspects of the occupation- the senselessness, the effect on innocents like children, the utter despair of being trapped in a terrifying situation, and the complete degradation of the human being. 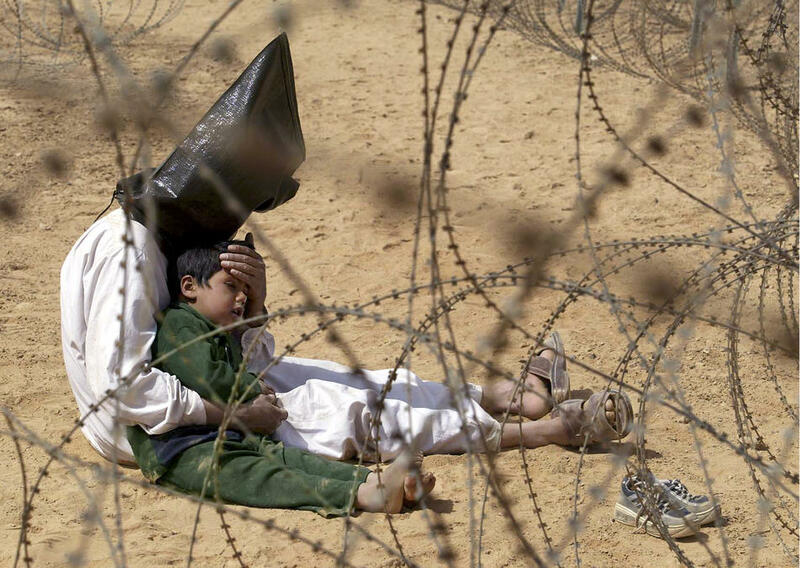 at a regroupment center for POWs of the 101st Airborne Division near An Najaf, March 31, 2003. 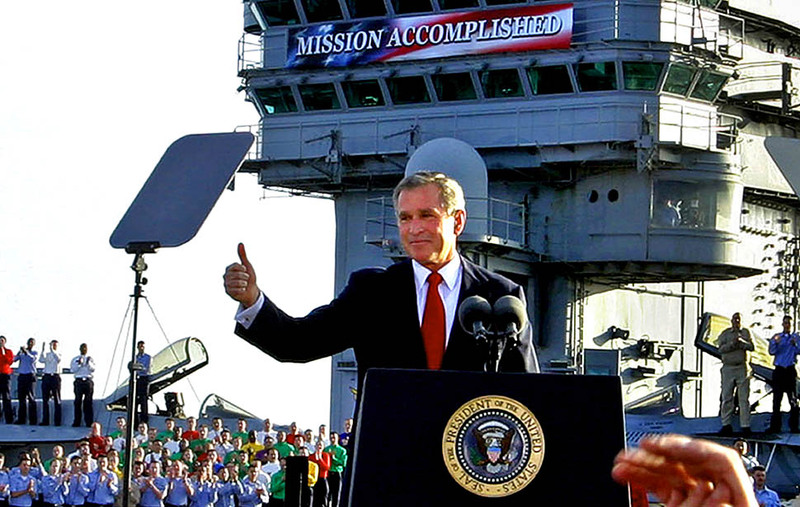 George W. Bush giving a thumbs up, in front of the infamous "Mission Accomplished" sign... only a couple months into a long, 8-year war. Unfortunately, one of the lasting legacies of the war is the toxic effects of depleted uranium weapons. Like the once-dismissed "Gulf War Syndrome," our soldiers will also suffer from the consequences of using these horrible weapons. on Obama's First Day in Israel "
My tech life is dominated by Apple & Google products. I use only Macs & have the greatest invention of the modern age - the iPhone. Despite the usual complaints of difficulty in upgrading & modifying, I love Apple hardware because it just works & I don't have to tinker with it. For a long time, I resisted getting an iPhone until my old phone totally crapped out, but now it's an integral tool in my daily life. Google is another company that has created tools that I find indispensable right now. 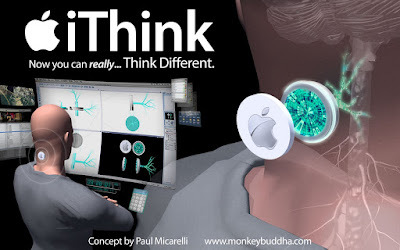 I use Blogger to create The Monkey Buddha blog. I have an online Picasa Photo Album. The navigation program Google Maps is freakin' amazing & has helped immensely with my anxiety when traveling. 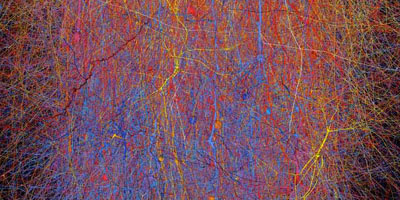 Google is digitizing works of art & also literature. In fact, they are digitizing the entire planet with Google Earth. One of my most visited pages, Google Search, with options of Images, Shopping, & Video, is absolutely miraculous, to an information sponge like myself. I talk to people all the time about how much it sucked in "the old days," trying to find answers about anything- before the search engine became the powerful resource it is today. 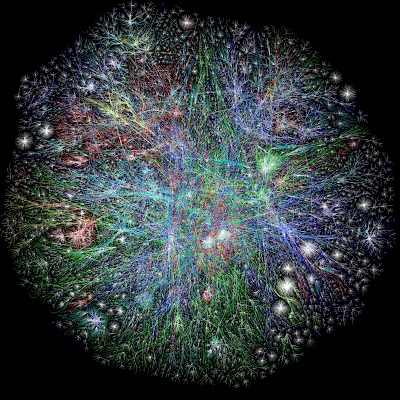 The Internet is truly becoming a virtual hive mind, and search engines are the current key to accessing that collective consciousness. Although its power is awesome & could easily have detrimental effects, Google's definitely augmenting the capabilities of the human race in countless ways. I don't think there's any question that the digital age is the most radically transformative of any time in known human history. The change & progress we're experiencing only seems to be accelerating, so we have very interesting years ahead. 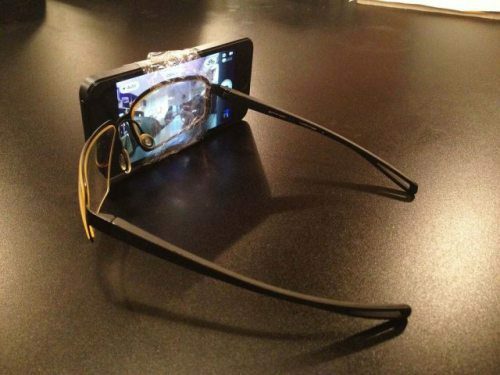 Although it's been in development for awhile, the interactive eyewear called Google Glass is starting to get some attention. They are basically computerized glasses that can access online content, find directions, take pics & video, etc. Since I don't wear glasses, it would be a big change to have eyewear on constantly. Instead of having to speak commands, there should be a way to look at icons & blink to make choices. 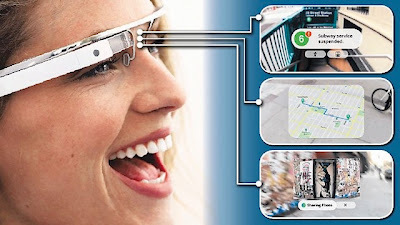 Although it is interesting, & the state of technology to make it possible is truly astounding, Google Glass is simply another step in a process. 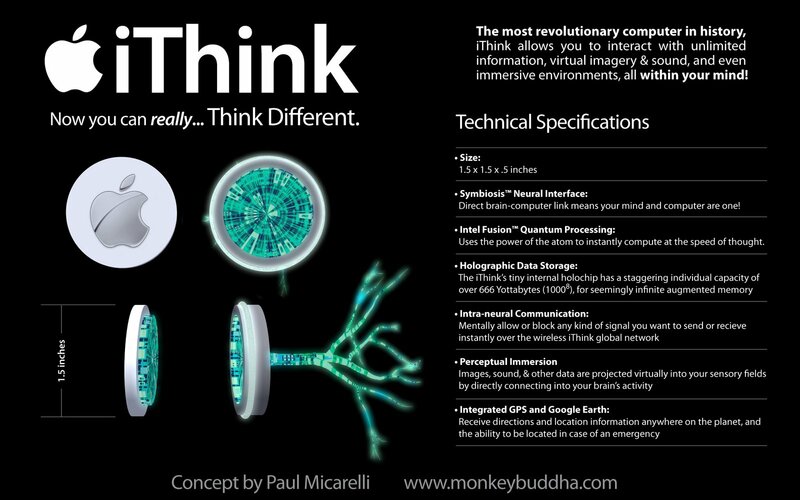 The process seems to be the integration of biological & digital systems, to enable a greatly enhanced consciousness. I can't say if there will ever be an endpoint to this process, other than perhaps the conversion of our singular experience into the dimension of pure light. Book Review: "Lore of the Bard"
I recently finished reading "The Lore of the Bard: A Guide to the Celtic & Druid Mysteries" by Arthur Rowan... just in time for St. Patrick's Day! 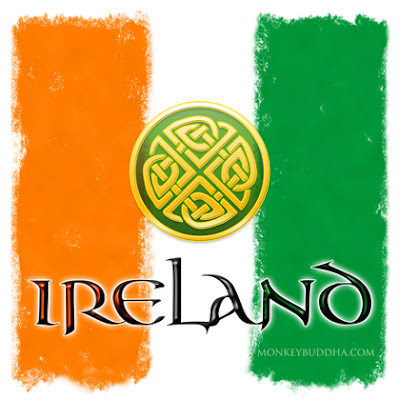 Though I have an Italian last name, most of my grandparents were Irish... & I've always felt a strong connection to my Celtic heritage. "Lore of the Bard" was an an excellent introduction to the lost arts of bardry. The Gaelic bard was an artist, usually a musician, who kept the cultural identity and mythology alive through song, poetry, & storytelling. As an artist, I feel like I've walked in the bardic path through my visual art & can relate to many of the creative methods the author outlines in the book. Like the Druids, who were the educated priestly class, the ancient bards found their inspiration through solitude, silent introspection, & communion with nature. The natural world was a major source of inspiration for the bards, who were intimately connected with the cycles of the seasons & the mysteries of the outdoor environments, like the woods. With their craft, they were doing more than just entertaining the people in the villages of Ireland. The bards were responsible for maintaining the collective memory of the people- while igniting the imagination & aspirations of the souls who they encountered. 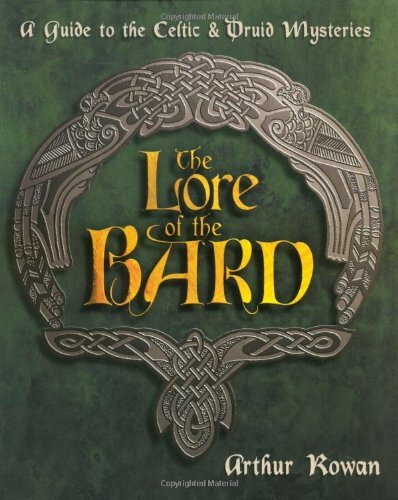 "Lore of the Bard" has alot of great information about what we know of Celtic culture. It also provides illuminating insights into the individual process of becoming a practicing bard. I definitely recommend it for anyone interested in Celtic culture and the artists it produced, who inspired countless people of pre-Catholic Ireland.. The Man Who Saw Forever! Most of my grandparents died when I was young. My Dad's parents lived longer, so I have more memories of them. They were Joseph Micarelli (2nd generation Italian) & Marie Rietzen (2nd generation Irish). 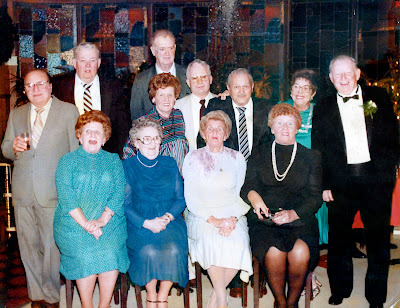 The funny thing is... my grandfather's brother, John, married my grandmom's twin sister, Elizabeth! As a result, my extended family today is very extended- w/ many cousins & 2nd cousins. I have a really big family on my Mom's side, too. We all try to stay in contact, especially with social media like Email & Facebook. My grandparents passed away before computers became a household piece of technology. By posting about them here, I feel like I'm keeping their memory alive, beyond an obituary- which is the only info you'd find out about them online. 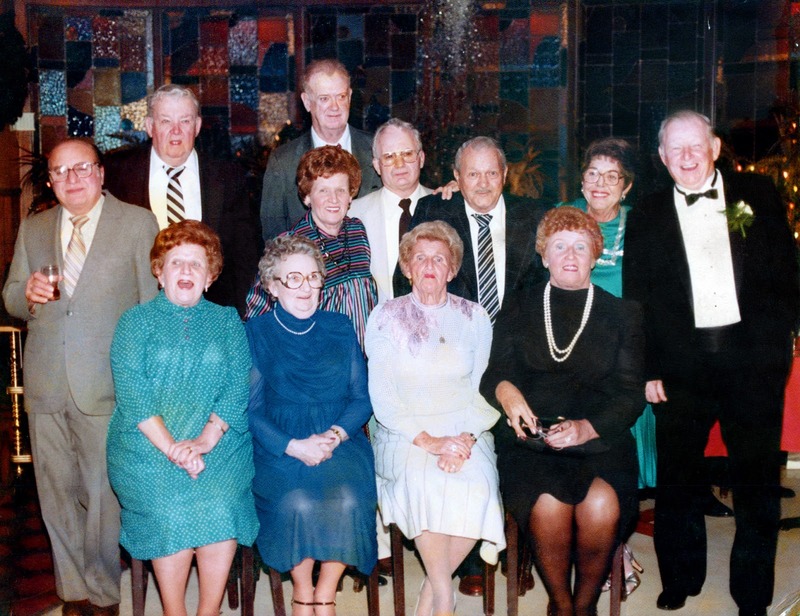 This is a photo of my grandmother, Marie, with her siblings & their spouses. I saw it sitting around, in a pile of old photos at my parents house- faded and pretty scratched up. 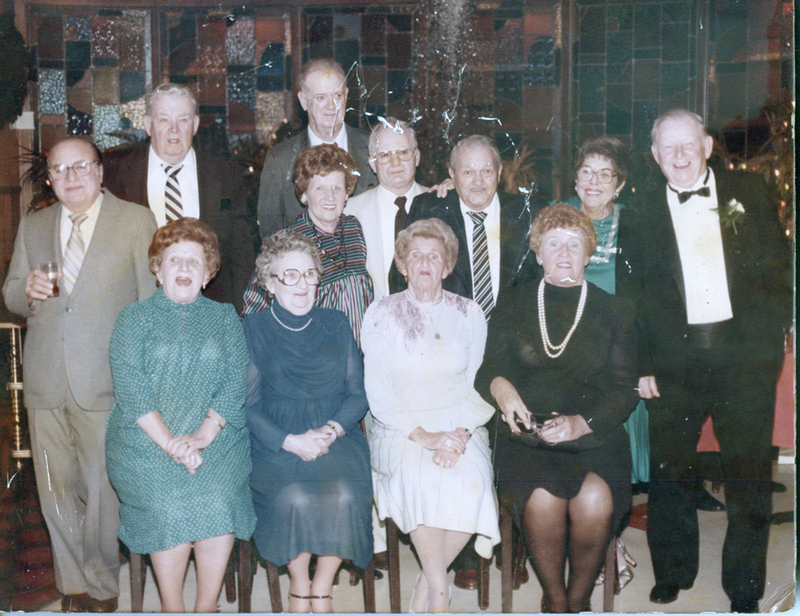 It's such a nice picture of my grandparents, great aunts & uncles that I wanted to fix it up & preserve it. "Regina's Wedding Oct. 29, 1983"
Hopefully I'm getting the names right...I'm relying on my Dad for the names of the few people in the photo I don't know for sure. If anyone ends up reading this & sees something wrong- let me know in the comments & I'll fix it. 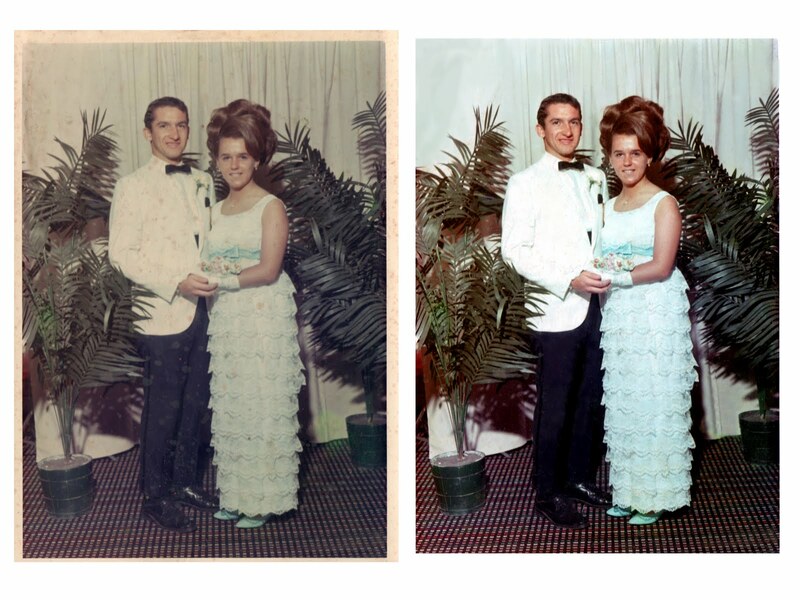 Here is a scan of the photo before I retouched it. 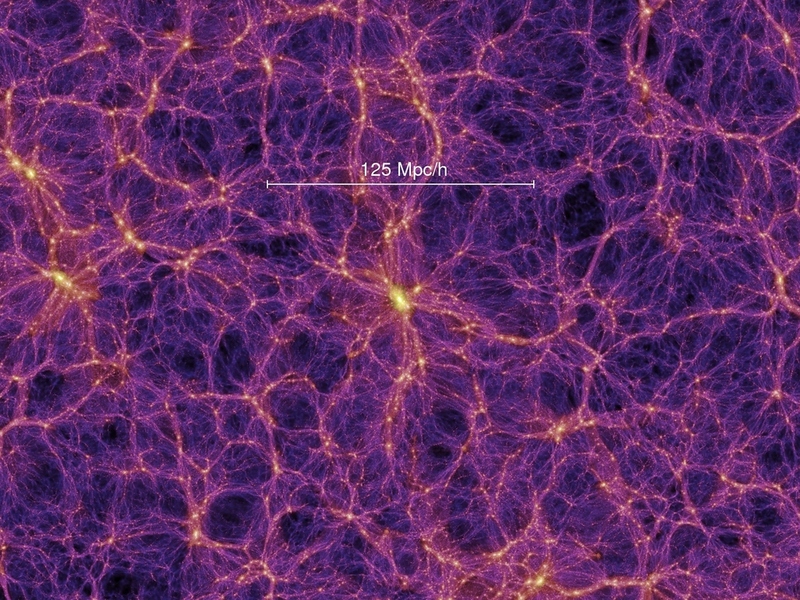 I've posted alot about the fractal characteristics of the brain & The Universe which it perceives. Even though I'm way too squeamish about certain things to be a doctor, the body as a living system is a source of amazement for me. 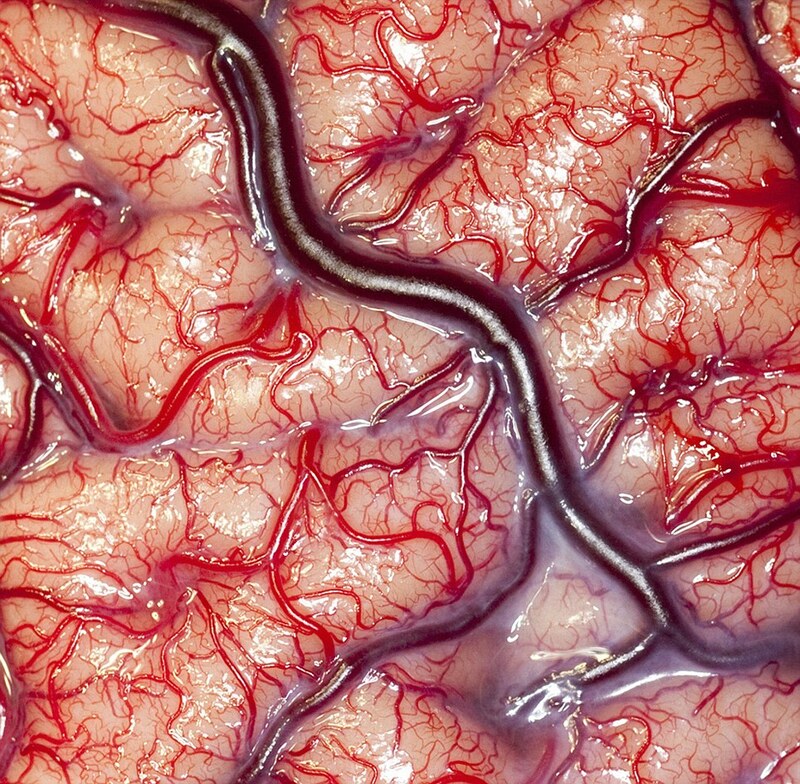 When you look closely at the components & functions of our bodies, on an abstract level they are fascinating. 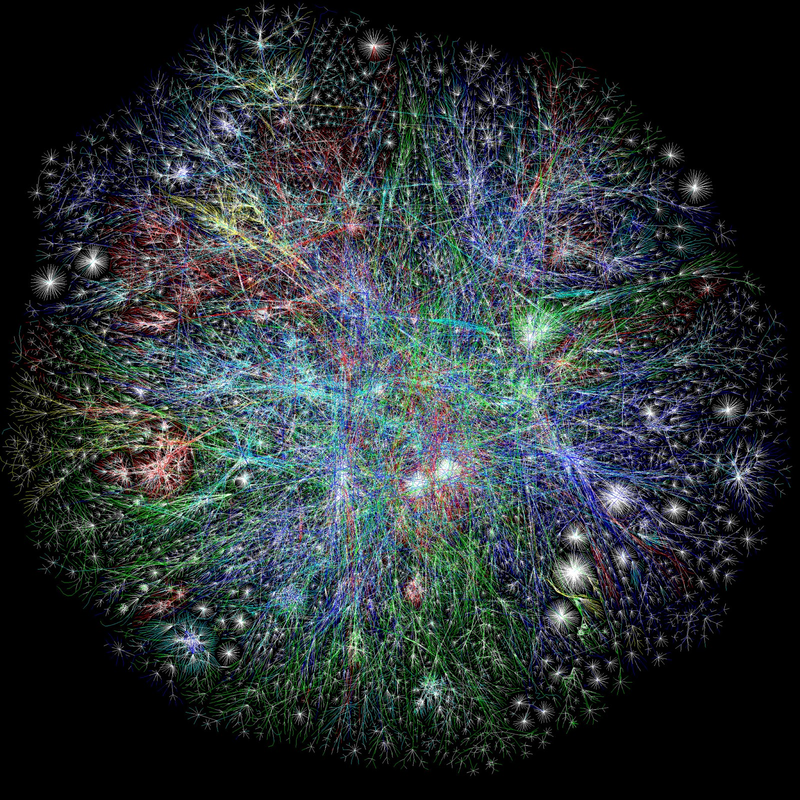 We truly inhabit The Web of Maya- a light show of the mind's individual experience, created by the interplay of brain cells & the enmeshed energies that affect them.